Where do I donate my dress(es)? 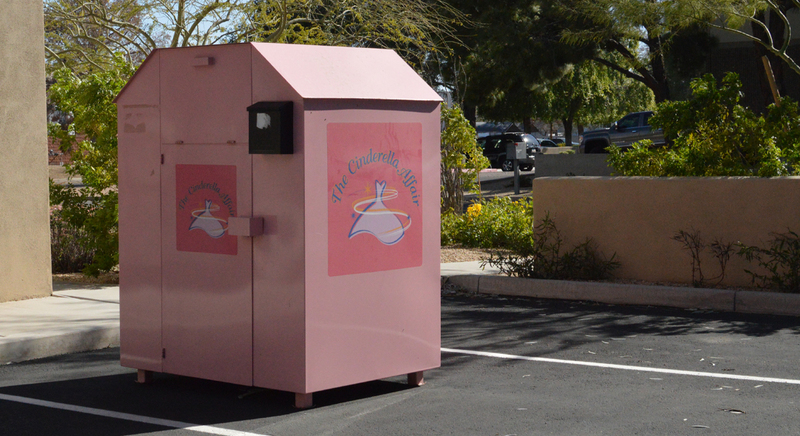 We have a large pink drop-box out front available 24/7. Please drop the prom attire there. When can I donate my dress(es)? 24/7, 365 days a year (in the drop-box located in Chandler). What if I have a large amount of dresses to donate? Are there any other drop-off locations? Only in the month of February during our dress drive. Please check the site in February for a map of temporary locations! Do the dresses need to be dry-cleaned? The dresses do not need to be dry-cleaned.